Asia is a massive continent, and it has become a popular locale for expats to settle down. However, as anyone knows, you need money to live on, and therefore you will probably need a job after relocating. It can seem like a daunting task to find a job in an entirely new place, and in an area in which English is not their first language. However, it is not impossible by any means. If you are an expat living in Asia, or you are considering making the move, there are absolutely opportunities out there for you. 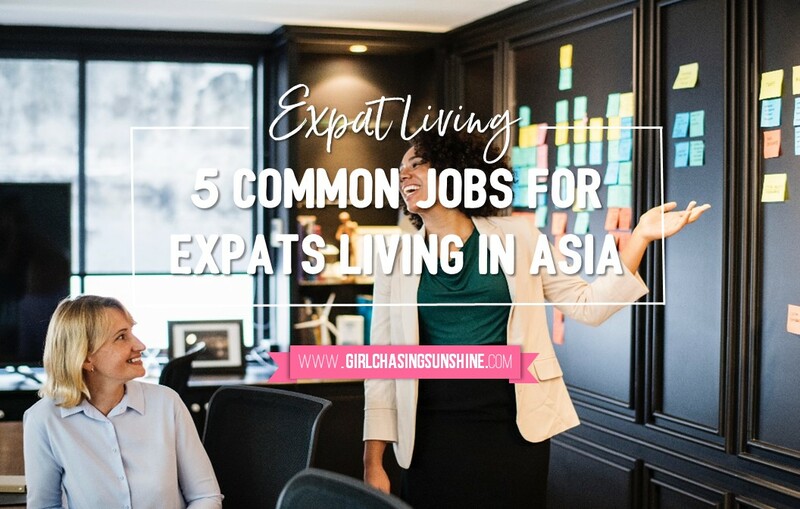 Here are just a few jobs that are common amongst expats in Asia. English is the international language of business – that means there’s high demand for English teachers throughout Asia, specifically in countries like China, Japan, and Taiwan. Not sure where you’d fit in? There are many resources out there to assist you with getting a job as an English teacher in Asia. You can learn more about teaching overseas with Point to Point Education, an online service that matches teachers with international schools across the continent. No teaching degree is required – all most schools look for is a bachelor’s degree in any subject along with an ESL certification. Most areas around Asia, particularly popular amongst tourists or that are experiencing rapid growth, will have opportunities for English teachers. Do some research to find international schools in your area! Being a consultant is a great starting job for anyone living in Asia as an expat. All consulting requires, in most cases, is specialized knowledge in a particular subject and a market willing to pay for your solutions. Common consulting jobs for ex-pats include cross-cultural training for businesses, sales training, IT consulting, marketing strategies, and more. This is a less intimidating solution, since it is not a “full time” job per se, but rather a project by project basis. It may feel less secure, but it is a great solution for a temporary fix or, if you get into the swing of it, a long-term flexible job. Some major companies and businesses in your home country might offer the opportunity to work from home – even if your home is now in Asia. Many jobs, especially in technological areas, have remote freelancing tasks where you can make money from home without having to leave the company that is your current employer. Furthermore, depending on the company and the type of business, you could always attempt to negotiate with your upper management for the same result – to work from home without leaving the company. It all depends on the business, but it is a viable option worth looking into. In places where tourism is especially popular, there may be an abundance of jobs available for foreigners in local hotels. They want those who are fluent in other languages, especially English, to accommodate visiting tourists. This can include anything from concierges, valets, housekeeping jobs, and more. However, there are also many upper-level opportunities for expats, particularly if you already have management experience. These are not the easiest jobs to get, but if you manage to land one, they include many great benefits and job security that other jobs may not offer. In certain areas of Asia, there are tons of tour guide opportunities. They absolutely want English-speaking guides, but you are far more likely to secure a position like this if you also speak another language, such as Spanish or Russian. Bilingual guides are highly coveted, and these positions are great for those who have a love for knowledge and love the areas in which they reside. Being an expat in Asia, especially a first-time ex-pat, might feel like an intimidating move. In many ways, it is – however, living comfortably in your new locale is not impossible. If you know where to look, there are plenty of jobs available all over Asia. Take the time to do a search, and pursue your new dream in your new home.